Black cherry, or Prunus serotina, is part of the rose family. 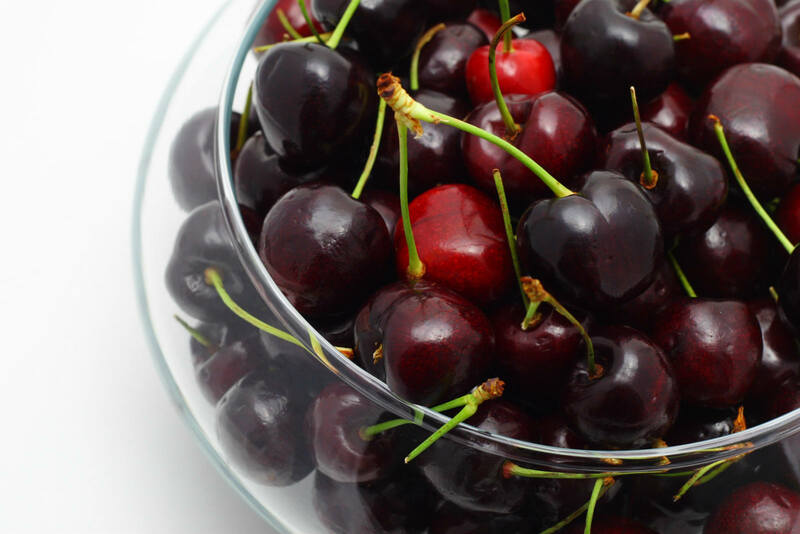 It shares the same benefits of other cherries such as bing, royal Ann and red cherries. Black cherry, as the name suggests, has a darker skin than the traditional red cherry and is a common ingredient in pies, ice-creams, jellies, sodas, liquors and other foods. Black cherry tree is a small tree that usually grows up to a height of 80 feet. Unripe fruits are generally orange in color which turns to red to black as they ripen. Many birds and animals including woodpeckers, sparrows, wild turkeys, red fox, raccoon, grey squirrel etc eat black cherry fruit. Due to their mild astringent flavor, these fruits are commonly used in dark chocolate cakes and as garnishes for cocktails. Leaves of black cherry fruit should not be eaten as they contain a chemical that is converted into a form of cyanide in the body. The bark of the tree also contains this chemical and hence should only be taken according to the instructions and guidance of a knowledgeable physician.Black cherry contains many vitamins, minerals, antioxidants and anti–inflammatory ingredients that when combined together bring great benefits for the human body. They are good for the regulation of body weight and cherries practically do not contain fat. Vitamin C and vitamin E, that can be found in cherries, slow down the aging process and may help in some diseases such as Parkinson’s and Alzheimer’s. Also there are some elements in cherries that can reduce the growth of certain cancers. The consumption of cherries naturally returns the energy in the body. The natural sugars in them will improve your mood, so about 10 cherries are enough to feel happier. If you have a problem with sleepless nights, eat a few cherries daily. They contain melatonin which helps people who suffer from insomnia. They are rich in vitamin A that improves vision. Retinol which is an integral part of this vitamin helps the skin look healthy and fresh. Did you know that regular consumption of cherries can aid in cancer prevention? Antioxidants which are their main ingredient can slow the aging process of our body. Due to the large amount of fiber, black cherries improve digestion and can lower cholesterol levels. Cherries are an excellent source of anthocyanins which can reduce pain and swelling, and besides that they relieve the symptoms of arthritis. Although bananas have more potassium than cherries, those who dislike this tropical fruit can easily replace them with a plate full of black cherries. They act beneficial to muscle spasms, and decrease pain during the menstrual cycle. Black cherry can help to restore focus and concentration. The consumption of black cherry at least once a day reduces the risk of heart disease. One of the most important properties of cherries is their anti-inflammatory effect. Therefore, it’s recommended for all athletes and elder people who suffer from body aches.